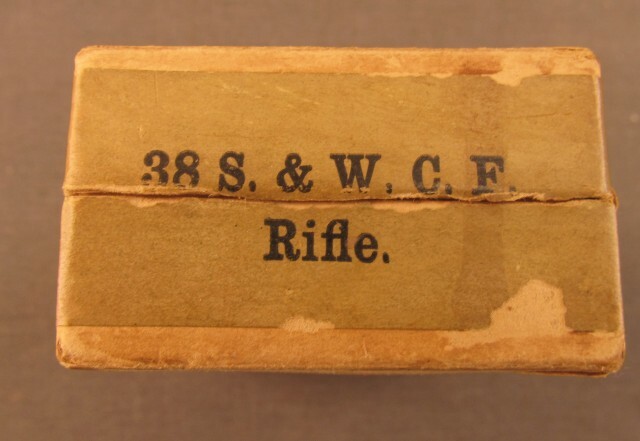 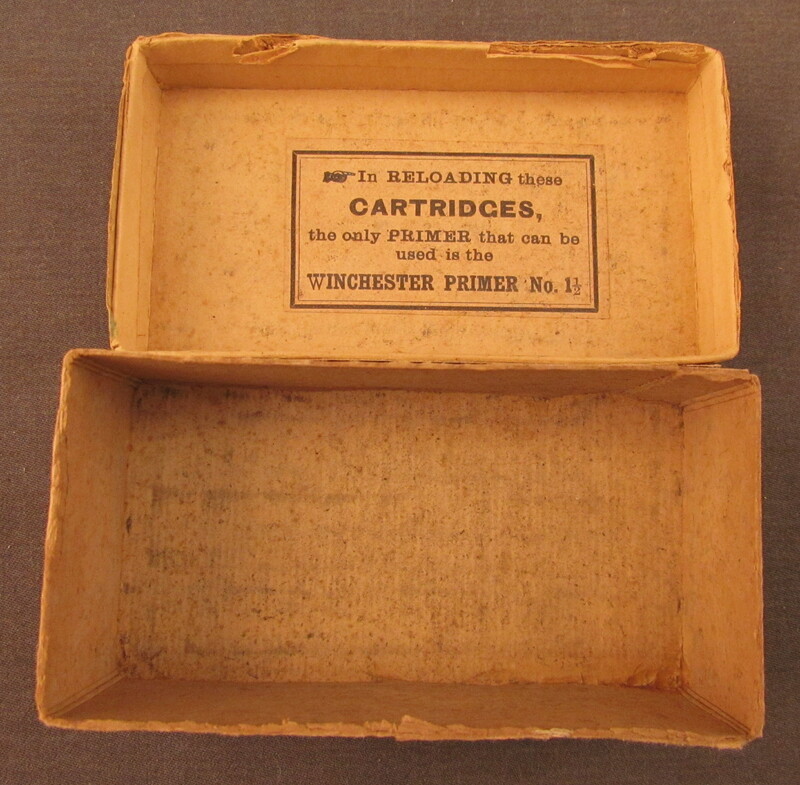 Description: This early Winchester box is marked "Rifle Cartridges" on top label with "Rifle" callout on all four sides of sealing label. 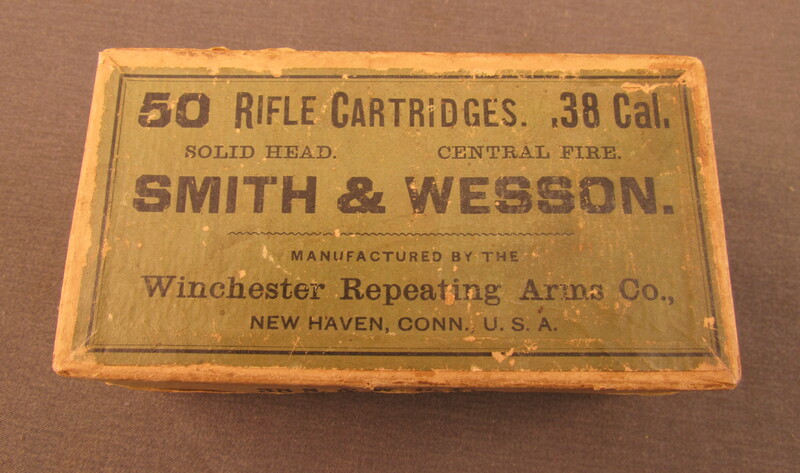 Top label also shows "Solid Head" and "Central Fire" callouts. 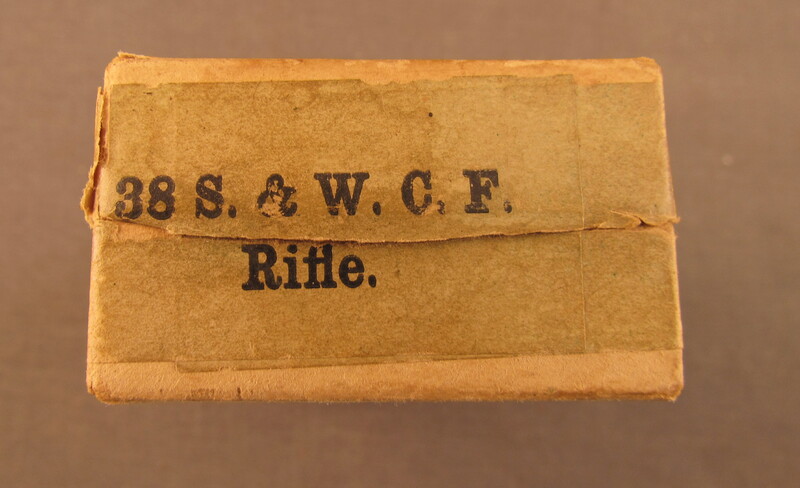 These callouts along with label font indicate 1880's production. 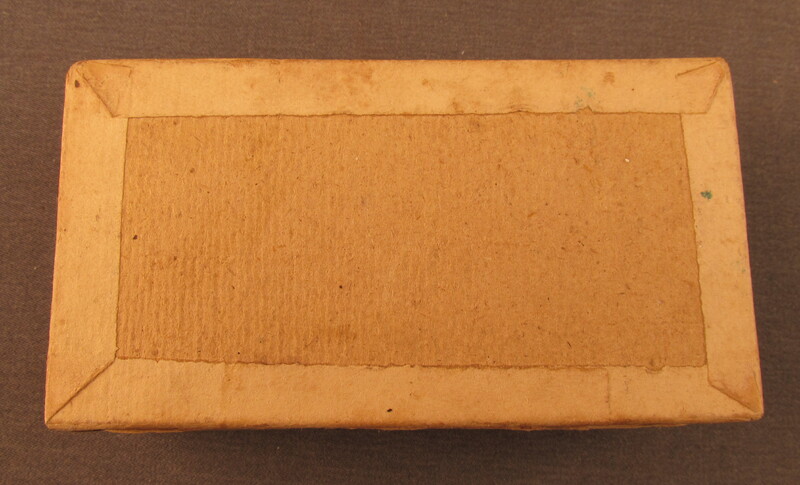 Box is opened and empty with shelf wear and a few small scuffs on top label. Side sealing label was cut, it remains over 95% present and fully legible. 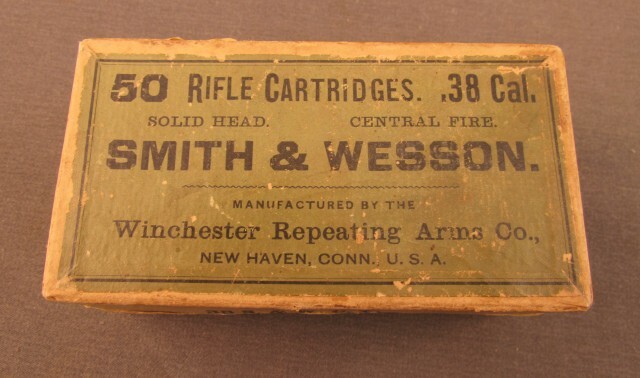 An interesting intentionally mislabeled box for the purpose of Tax evasion , used only in Southern States with high taxes on pistol ammunition.